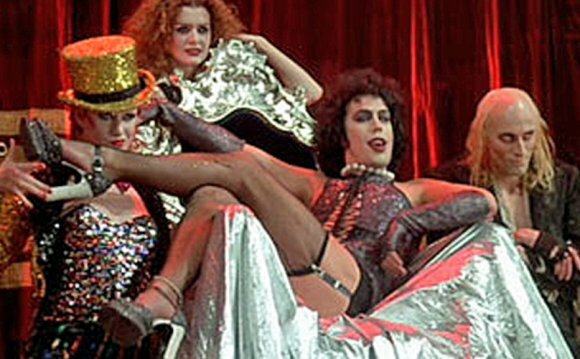 It was announced at the TCA (Television Critics Association) press tour today that original Rocky Horror Picture Show star Tim Curry (Legend, It, Clue) will be a part of FOX's upcoming Rocky Horror Picture Show TV movie - in the role of the criminologist narrator. The two-hour event, airing this fall, already stars Orange is the New Black's Laverne Cox as Dr. Frank-N-Furter, Victoria Justice as Janet, Ryan Mccarran as Brad, Adam Lambert as Eddie, Penny Dreadful's Reeve Carney as Riff Raff, and Staz Nair as Rocky. The Emmy and Tony Award-winning Curry will fill the role that Charles Gray played in the 1975 movie, narrating the tale of newly engaged couple Brad Majors and Janet Weiss, lost in the rain, seeking shelter in a nearby castle - the bizarre abode of Dr. Frank-N-Furter, a sexually ambiguous, flirtatious alien mad-scientist, famously portrayed by Curry in both the stage version and iconic, cult film in the 1970s.